The popularity of podcasts continues to grow, meaning more people than ever are wondering which is the best podcast app for Android. Unfortunately, due to the massive selection of Android podcast apps out there, that’s not a straightforward question to answer. But worry not—we’re here to help. Keep reading to find out more. Pocket Casts has been a favorite of Android users for a long time, and with its regular updates, it just keeps getting better. In early 2018, it was bought by a collective which included NPR and This American Life. The app is one of the most full-featured podcast players available. It comes with audio effects, the ability to schedule downloads while you sleep, on-the-fly episode streaming support, automatic episode syncing between Android, iOS, and the web app, and multiple storage options. It can also stream episodes straight from your device to your Chromecast, and is Android Auto-compatible. Importantly, all your subscriptions are stored in the cloud; if something happens to your device, you won’t lose your library. 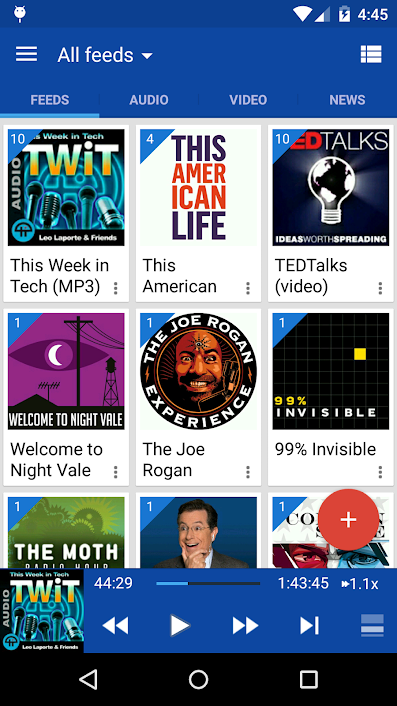 In our opinion, Pocket Casts is definitely the best podcast app for Android. 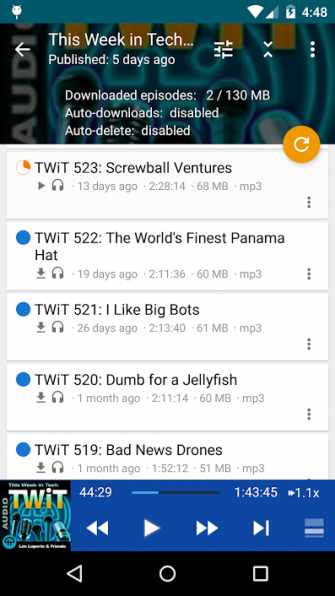 The second Android podcast app on our list is Podcast Addict. In addition to letting you organize and download your podcasts, the app also lets you control and manage audiobooks, live radio, YouTube channels, SoundCloud and Twitch subscriptions, and RSS feeds. 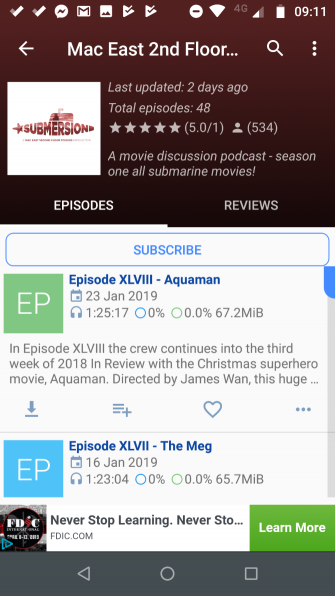 Podcast Addict also works as a standalone MP3 player and is compatible with Chromecast, Android Auto, and Android Wear. On the downside, there are a serious number of options you can tweak. 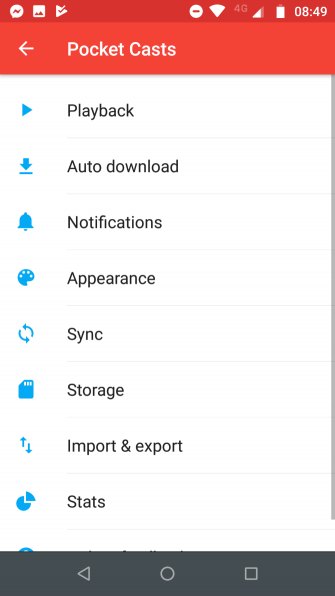 Of course, the app works out of the box, but new users might find the vast list of settings a bit overwhelming. 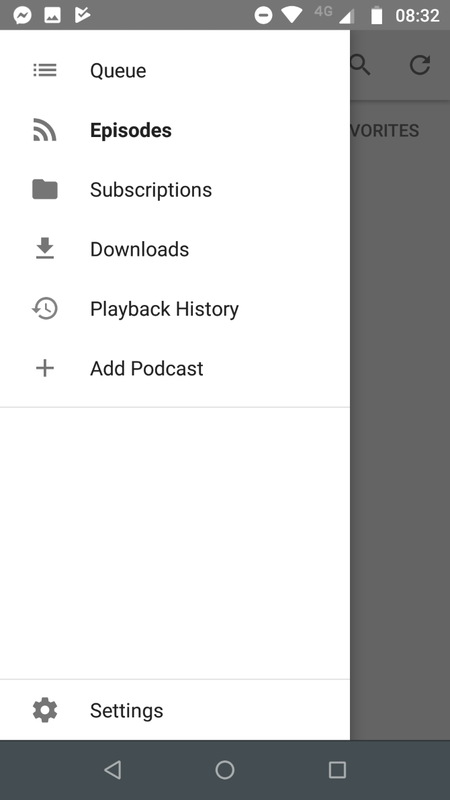 Unusually for a podcast app, there’s also no cloud support, meaning content will not sync between your devices. Player FM tries to distinguish itself from the competition with its content discovery tools. 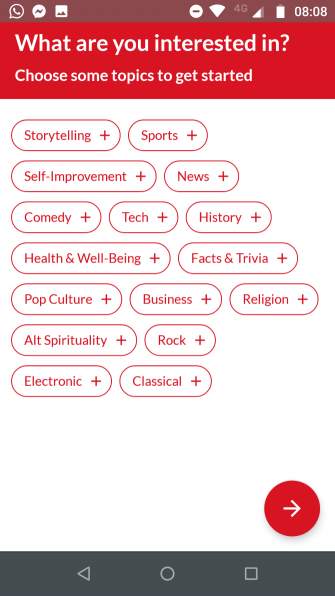 They revolve around the use of topics; just tell the app what interests you and it will take care of the rest. There are no ads, giving you a clean and crisp user interface. Player FM also offers automatic syncing between other Android devices and the web app. 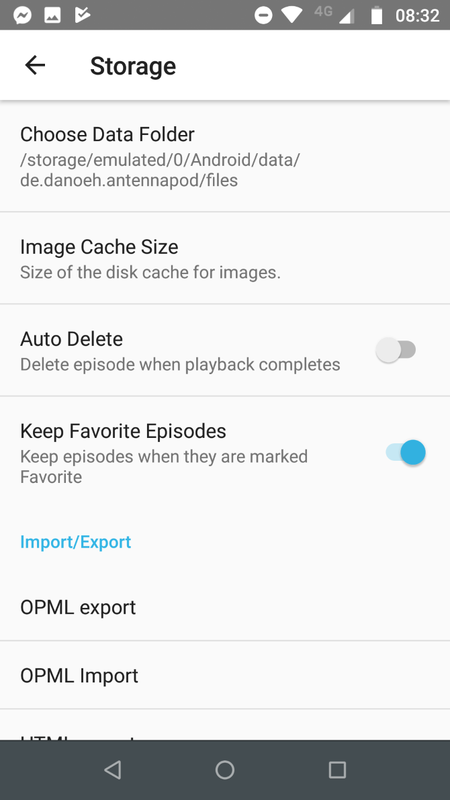 Other features include importable and exportable OPML data (in case you ever want to migrate to a different podcast player), highly customizable themes, a volume boost, a sleep timer, and offline storage. The app is not free. Instead, it offers three plans costing $1 per month (Gold), $4 per month (Pro), and $10 per month (Patron). The Gold plan should be enough for most users who want a solid podcast player for Android. The Stitcher app made its name as an on-demand internet radio service, but it’s grown to become much more than that. It is now one of the best podcast apps for Android. Once you’ve added all your favorite podcasts, you can “stitch” them together into one long radio-esque marathon. 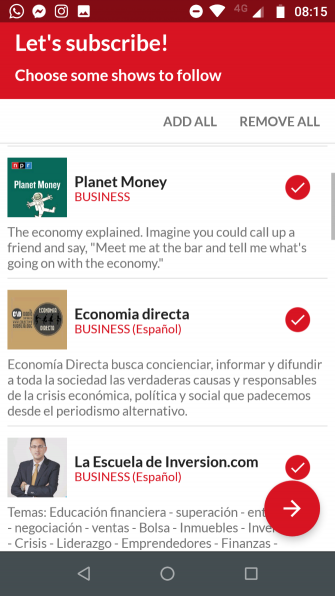 The app even lets you intersperse them with actual radio content, such as breaking news and your favorite shows. It’s also great at introducing you to new shows thanks to its podcast discovery engine that suggests new content based on your listening tastes and favorite topics. If you want to give the app a try, make sure you check out our list of important tips for Stitcher that you need to know. AntennaPod is the only open-source player on our list, and although it lacks the brand recognition of the more famous players, it packs a decent punch. It has access to the iTunes and gPodder.net directories, adjustable playback speed, chapter support, an advanced sleep timer, and the ability to access password-protected feeds and episodes. AntennaPod also has great memory management tools. You can control cached episodes, set up smart deletion, and decide how and when you download new content. DoggCatcher is the second paid player on our list, but it’s well worth the small one-time fee. It is one of the best podcast apps and another longtime favorite of established podcast listeners. Indeed, the app has been around in some form since the late 2000s. 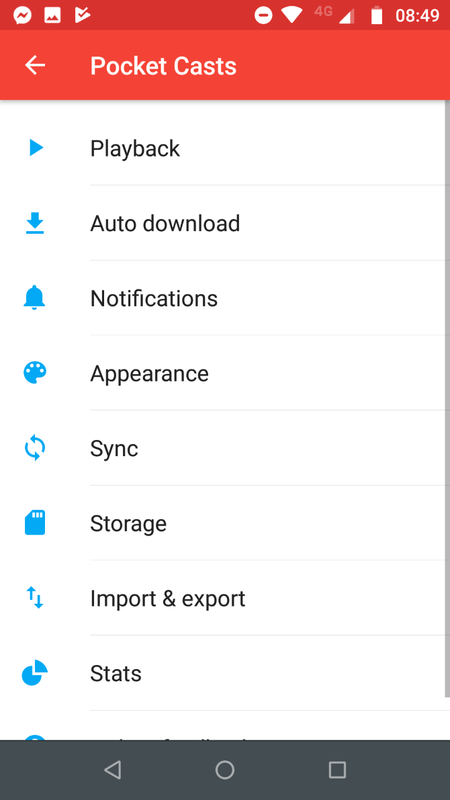 It’s a feature-heavy option and comes with Chromecast and Android Auto support, auto-cleanup of media files, variable speed playback, a dark theme, and podcast categorization. 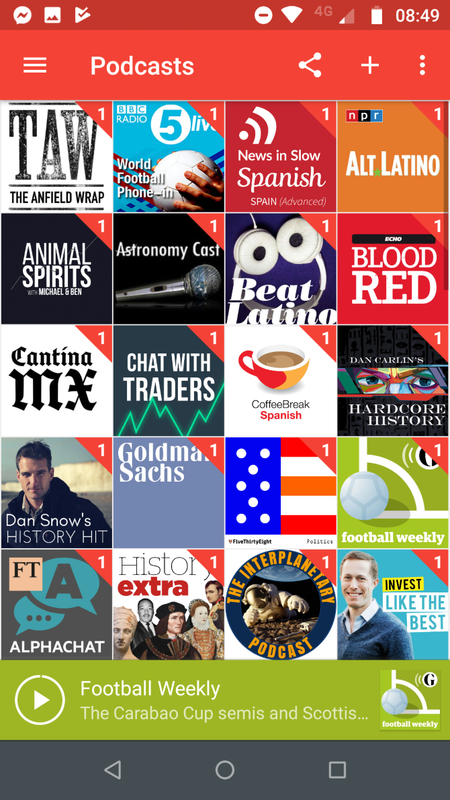 Notably, it also has one of the best podcast discovery tools. DoggCatcher has the ability to browse the top 100 DoggCatcher podcasts, personalized recommendations, and a way to search both podcast and news directories. Podcast Republic bills itself as the most customizable Android podcast app in the Play Store. We’re not sure that’s true, but it’s still an app that’s worth checking out. 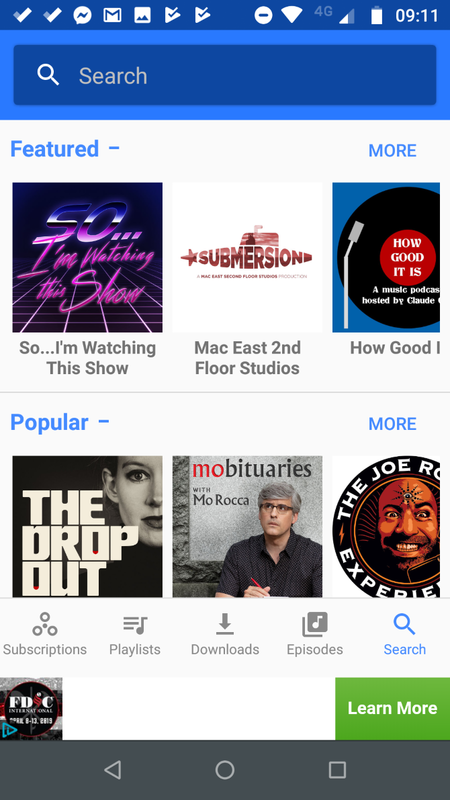 The app rolls podcasts and live radio into a single interface. You can also use it to manage your audiobooks, YouTube channels, SoundCloud subscriptions, and RSS feeds. Other important features include a volume booster, silence skipper, and variable playback speeds. You can even schedule a podcast to start playing at a set time every day, meaning you can wake up to you favorite content each morning. Although Podcast Republic is one of the best free Android podcast apps, there’s also an ad-free version that will set you back $2. 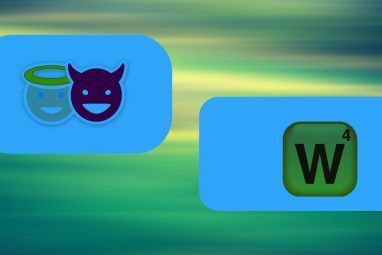 BeyondPod is another app that can stake a serious claim as the best podcast app on Android. The app has both a free and paid tier. The free tier provides access to common settings such as playback speed, sleep timers, and volume boost, along with the podcast discovery tools. Meanwhile, the Pro version adds support for casting to Chromecasts and other devices, customized playback speeds, the ability to download several new episodes at the same time, and multi-device synchronization. BeyondPod also offers smart playlists. They can create lists of new content based on your past listening habits. 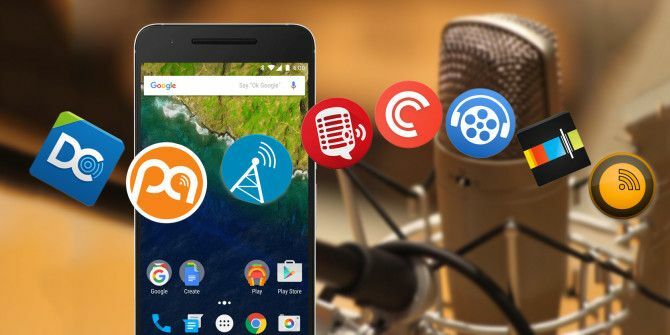 The eight apps we’ve discussed are among the best Android podcast apps. However, none of them are use without some content to listen to. If you’re wondering which podcasts you should download, check out our list of the best design podcasts The 10 Best Design Podcasts to Spark Your Creativity The 10 Best Design Podcasts to Spark Your Creativity Being a designer can be a lonely profession. However, there are all kinds of design-related podcasts out there to help you get your creative juices flowing. Read More . 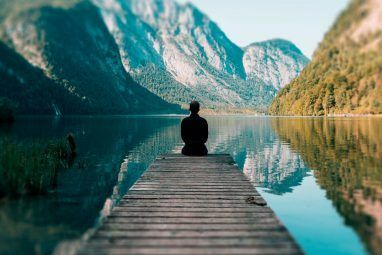 And don’t forget that there are plenty of great podcasts on Spotify The Best Podcasts on Spotify in 2019 The Best Podcasts on Spotify in 2019 Here are the best podcasts on Spotify in 2019, all of which are original or exclusive Spotify podcasts. Read More too. Explore more about: Android Apps, Media Player, Podcasts. Agreed, PlayerFM is still free option for listeners....I'm using it right now and have never paid a dime for it. They do have the premium upgrades described. Playback Speed (e.g. 2x) is what crucial to me. Podcast Addict is the only one offer this 10 years ago, not sure if so nowadays. I think there's a bit of misinformation about the Player FM app. It can be used for free; it doesn't 'require' a subscription to use. I've been using it for free for a couple of years now and I'd definitely recommend it but wouldn't claim it's a paid app out-of-the-box. Info about Pocket Casts. It's not a free app. It is pretty good though. For god's sake, never try to move the podcast files to an SD card. It will be so thoroughly scrambled as to be unrecoverable. "In our opinion, Pocket Casts is definitely the best free podcast app for Android." So why is it $4.99, then? 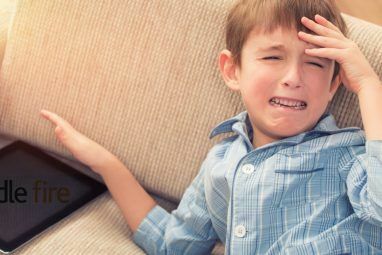 Pocket Casts isn't free? $3.99?